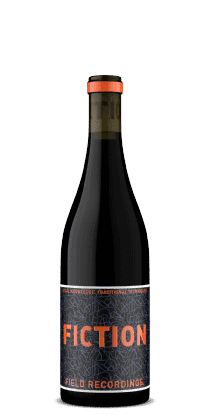 The Fiction Paso Robles Red Blend 2015 is a blend of 48% Zinfandel, 15% Syrah, 14% Mourvedre, 8% Graciano (a grape usually grown in Rioja, Spain), 8% Cabernet Sauvignon, 4% Touriga Nacional (maybe the best known grape from Portugal), and 3% Carignan (a grape best known from southern France and northern Spain) sourced from 8 carefully selected vineyards thru-out the Paso Robles AVA of California’s Central Coast AVA. Fiction is one of the labels from Field Recordings, a project from winemaker Andrew Jones, who makes boutique hand selected small batch wines, that don’t sell at boutique prices. Fiction Red list for $18 (Found it closer to $16 on sale) which an excellent price for what is seen as a very serious wine. The grapes in the blend and the vineyard sourcing for the Fiction Red can vary from vintage to vintage, the wine reflects the best grapes that are available and not a house style which needs to be replicated year after year. This blend was aged for 10 months in a combination of French and American oak barrels with 20% of the barrels new oak. Why are only 20% of the barrels new oak you say? Wine that is aged in 100% new barrels come out of the barrels (depending on the length of the barrel aging) woody with significant oak flavoring, it takes a fairly long period of aging in the bottle for the flavors and textures to even out. Every time a barrel is used it has a little less oak influence to impart until about the 5th use where it is considered a neutral barrel. So, it’s something of a math problem, some many new barrels along with X number of 2nd use barrels and Y number of 3rd use barrels and so on, give the desired oak flavoring and texture, but incorporates into the wine in less time. The quicker the wine is ready to be released the sooner the winery can start to recoup their investment, but it also reflects the style of wine and the procedures needed to produce a wine that is ready to drink. The alcohol content is a ripe 14.3%. The color is a barely see-thru black cherry red, deep and dark. The nose is complex (it should be, there are 7 different grapes contributing to the aroma) there is blackberry, cedar, cigar tobacco, licorice, pepper, BBQ burnt ends, raspberry, ripe plum, and spice, I could probably go on, but I didn’t come here to smell wine, I came here to drink it. This is a wine that engages your palate, it is not subtle, but that is not to say it isn’t well-balanced, it is just a fairly large wine. It tastes of fresh picked blueberries, fudge, black pepper, slap of DR. Pepper (not soda sweet), black cherry, and exotic spice. The mid-palate adds strawberry, dusty chocolate powder, orange zest, blackberry, and slightly sweet licorice. The tannins are in the mix, but get incorporated to the flavor profile, the acidity gives the flavors plenty of time to unfold. The finish is sleek and very long. The Fiction Paso Robles Red Blend 2015 is an excellent wine. Every wine drinker has their own personal preferences, not everyone agrees, so a large Paso Robles Red blend might not be a universal favorite, but I think it is easy to agree that the Fiction Red is a very well-made wine. It is a full, complex wine made with a very delicate touch. The 2015 Fiction at $18 is an excellent value wine.